This thematic retrospective catalogue is the most comprehensive volume ever published on the iconoclastic American artist Mike Kelley. Beginning in the mid-1970s, Mike Kelley assembled an incredibly diverse and often controversial body of work. Working across many disciplines, he created works on paper, paintings, sculpture, video, installation, music and sound works, and performances that managed to be at once shocking yet funny, and complex yet accessible. This companion volume to a much-anticipated retrospective exhibition was conceived in close collaboration with the artist as an overview of his career—from his early Performative Sculptures and Objects to the "abject" sculptures made of old stuffed animals to the multi-part video installation Day Is Done to the ambitious Mobile Homestead, the artist’s final work before his untimely passing in 2012. This book features essays and a fully annotated plate section, as well as a newly researched and revised exhibition chronology, performance history, videography, discography, and bibliography of Kelley’s work. In addition, the publication includes the artist’s last interview. 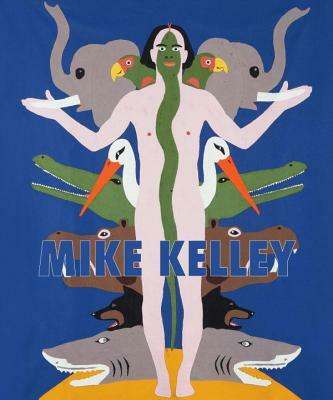 Mike Kelley promises to be the definitive reference on the work of this singular and highly influential artist.